Why Some Parents Decide to Delay Their Child's Kindergarten Start Date | Features | Kids VT - small people, big ideas! When Anne Hanson's son, Anders, was approaching school age more than a decade ago, she sat down to study her outdoorsy little boy. He was "all about imagination and gross motor play, and those are things he won't be able to do as much if he's enrolled in kindergarten at age 5," she remembers thinking. In Vermont, kids can start kindergarten at 5, but they're not required to enroll until age 6. So Hanson and her husband, Eric, decided to give Anders an extra year at home. Their work schedules allowed at least one parent to be with their son, in bucolic Craftsbury. They considered that extra year a gift, allowing their only child to mature and strengthening the family bond. It gave them a chance to have "a deeper, longer relationship" with him, says Hanson, who's since become an early childhood educator. Now 17 and entering his junior year of high school, Anders is a competitive Nordic skier and, according to his mom, a confident student and pleasant guy to be around. Looking back, she's pleased with the decision her family made — and recognizes the good fortune in having that flexibility. "If you have the freedom to step back from the pressures of society," she says, "look at where [your children] are and what will best meet them where they are." Increasingly these days, parents across the country are making the same choice, giving their 5-year-olds an extra year filled with unstructured play, pre-K and play dates before starting kindergarten. According to the National Center for Education Statistics, 17 percent of American kindergarteners started at age 6 in 2008, compared with just 9 percent in 1995. The practice of holding kids back is referred to as "redshirting," a term borrowed from the world of college sports, where it means keeping an athlete out of competition for a year to lengthen their period of eligibility. Books like Freakonomics and Malcolm Gladwell's Outliers popularized redshirting — both noted that many elite soccer and hockey players were born during the earliest months of the year, making them the oldest kids in their classes. But does the practice actually benefit children in the long run? The jury is still out. New Yorker writer Maria Konnikova examined the evidence in a 2013 article. 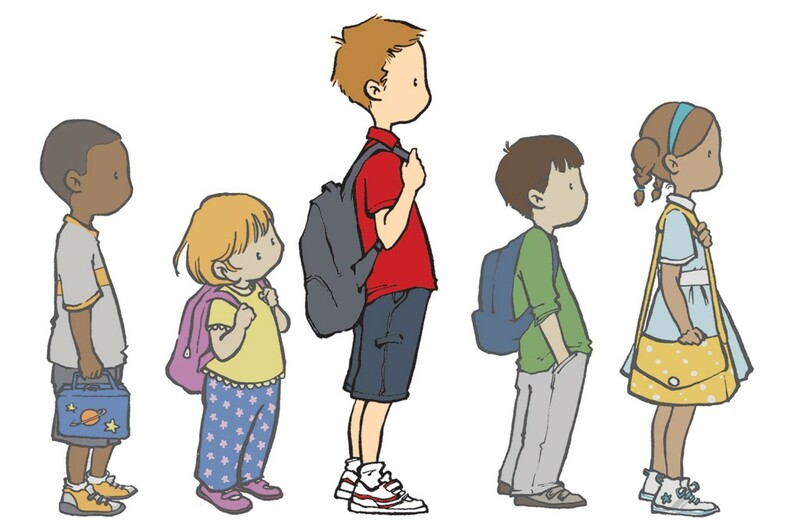 "While earlier studies have argued that redshirted children do better both socially and academically — citing data on school evaluations, leadership positions and test scores," Konnikova writes, "the more recent analyses suggest that the opposite may well be the case: The youngest kids, who barely make the age cutoff but are enrolled anyway, ultimately end up on top — not their older classmates." She sites a Norwegian study showing that adults who as children started school a year later than their peers had significantly lower IQ scores than their younger counterparts — and they earned less, too. A 2008 Harvard University study showed similar results in the U.S. Indeed some Vermont parents are eager to enroll their kids in kindergarten exactly because it offers a structured, academic environment. Some even apply for waivers to enroll children whose birthdays fall just before or after their district's cutoff date, which varies from September 1 to the end of December. "There are probably as many families that think about redshirting their kids as there are families who want their kids in early," says Melissa Riegel-Garrett, pre-K coordinator for the Vermont Agency of Education. From the state's perspective, the decision to redshirt a child is entirely up to the family. "The Agency of Education hasn't come out with any guiding principle or philosophy about this at all," says Riegel-Garrett. The state doesn't track how many parents are doing it, either, though anecdotal evidence suggests that Vermont is in line with the national trend. Why are parents' feelings about kindergarten changing? Partly because kindergarten has changed — it looks different than it did when today's moms and dads were growing up. For starters, it's more academic. A 2015 University of Virginia study comparing kindergarten classrooms in the United States between 1998 and 2010 found that teachers' academic expectations, teacher-directed instruction and assessment, and time spent teaching advanced math and literacy content increased during that period, while child-selected activities and time spent teaching art, music and science decreased. In many cases, it's also a bigger time commitment. In 1998 only 56 percent of children attended full-day kindergarten. Today, that number has jumped to 80 percent. These increased demands are one of the main reasons some parents choose to delay their child's start date. Jemima Talbot lives in Essex. Her 5-year-old daughter, Lila, is eligible for kindergarten but is spending another part-time preschool year at the Saxon Hill School in Jericho — in part because Talbot wants more time for her to play. "I don't want her to go directly into a rigorous, school-based environment. I really believe in outdoor and play time," she says. The Saxon Hill School, a private parent cooperative, also provides a smaller, cozier environment than the full-day public school kindergarten Lila would attend in Essex. "If she was going into a one-class kindergarten, that would have impacted my decision," says Talbot. "But she's going into full-on school, waiting in line for lunch, waiting in line to go to the bathroom. It's a little much for someone who just turned 5." Adam Tarmy of Monkton says the full school day was also "a little much" for his daughter, who has a late-August birthday. He gave his now-7-year-old three years of preschool before starting kindergarten; she's about to enter first grade. If she had started at age 5, she would have been among the youngest in her kindergarten class. Instead, she was one of the oldest. "I think if she went a year earlier, she would have had a harder time physically with the stamina," says Tarmy. Giving her a chance to build strength and coordination was also a concern. "She's small in stature," Tarmy says. "We wanted her to at least have the opportunity to play some sports." Giving a child extra time to develop socially, emotionally and even physically is a reasonable choice for parents to make, says Melissa Farrall, program manager of diagnostic services at the Stern Center for Language and Learning. But if a child does not appear cognitively ready for school, delaying kindergarten is not the answer. Certain basic language skills develop naturally by age 5 or 6, Farrall says. If a child's language development seems a little delayed, a family may be tempted to give her another year to hone the ABCs and build vocab before kindergarten. But that's not the way the brain develops. "The research we have says we have skills related to reading and writing that develop naturally at this time, and if they're delayed, we have a problem," Farrall says. "A so-called readiness year won't target the skills they need and won't remediate the issue. This kindergarten and first grade year are really important. If we just take a readiness year, we're essentially delaying intervention." If parents are concerned about their preschooler's cognitive skills, says Castleton school-based clinician C. Bela Schug, they should talk to the coordinator of their school district's early-intervention special education program, called Triple E, or Essential Early Education. Parents considering redshirting also have to weigh the cost. Public school kindergarten is free. But parents working full-time who keep their kids home, or enroll them in part-time preschool programs, will still need to pay for childcare. And for some, the costs are prohibitive. Maggie Van Duyn of Richmond applied for a waiver to enroll her daughter, Zoey, in kindergarten early. "The biggest driver? Saving on childcare costs," she says. Van Duyn is a social worker with the Vermont Department for Children and Families. She advises the families she works with to give their children a school experience as early as possible. At-risk children need the social and academic supports and routines of school — and as many caring, reliable adults as possible. "When I'm working with someone who needs support, I'm encouraging them to send their child to school. I'm encouraging other people to get involved in that child's life," she says. If a client told her that his or her child was emotionally unready for kindergarten, Van Duyn explains, she would advise them that the child in fact needs kindergarten in order to develop those emotional skills. Van Duyn's daughter, Zoey, who turned 5 just a few weeks after starting kindergarten, shared a classroom with kids turning 7. Van Duyn was advised against starting her daughter early because Zoey would have to adjust to school with kids more than a year older than her. "My thought is, Whose fault is that?" says Van Duyn. "Someone of privilege has the choice to hold their child back. And that's really lucky for them. But it continues to put other people at a disadvantage." Some children who start school early rise to the occasion. Last year, Winooski teacher Jessica Perrotte had a student in her kindergarten class who turned 5 on December 31, the town's then-cut-off date; it changed this year to September 1 (see sidebar). "He had no fine motor skills, and he shouldn't at that age," she recalls. "By December, he was above grade level, and we were floored. You can say anything you want about those stereotypes, but it's really an individual case, and it's up to the parents to decide." Other kids benefit from a later start date. Shelburne mom Jenna Mazur used to be skeptical of redshirting. "I didn't get it. I thought it was kind of strange," she says. "But when it came time for [my daughter] Eva to enter kindergarten, I totally got it." August-born Eva started kindergarten at age 6. "She did great," says Mazur. "She was a helper in class because she was just a little bit older and had learned some things already. Her confidence was so much greater. I'm so glad I did that with her." In making this decision, parents should talk to kindergarten teachers in their school district to get a sense of their classroom style and educational philosophy, says Riegel-Garrett. "I just can't stress enough the importance of families looking at their own kids and gathering the information they need to make the best decisions for their kids." 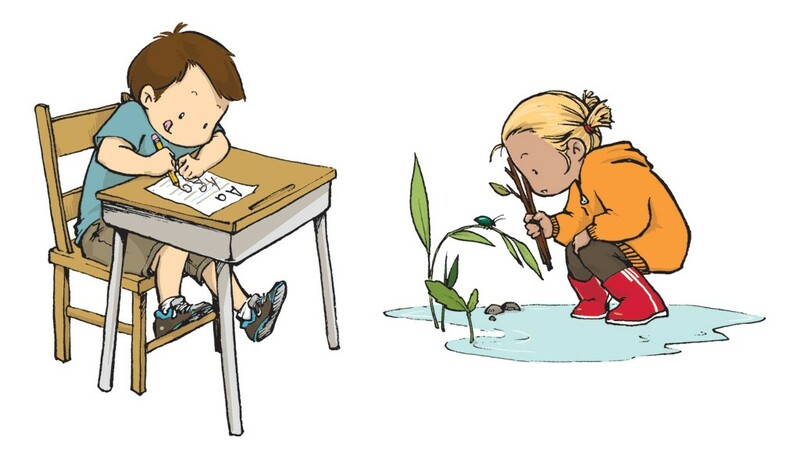 Vermont is in the process of democratizing early childhood education. Act 166, which provides universal access to prekindergarten, was signed into law in 2014 and is now slated for statewide implementation by July 1, 2016. Some school districts and supervisory unions are already implementing Act 166 for this school year. The Winooski School District is one of them. For years, it offered only one public preschool class at its K-12 educational center, and two other part-time classes at the Winooski Family Center, where space was limited. Families who couldn't afford private preschool had few options, so the district decided to allow 4-year-olds turning 5 by December 31 to enroll in kindergarten. "We wanted kids to have a chance to come to school," said Winooski kindergarten teacher Jessica Perrotte. "And then if they're not ready for first grade, they do another year of kindergarten." This year, thanks to Act 166, Winooski began offering four half-day preschool programs at JFK Elementary along with the program at the Winooski Family Center. This bump in public preschool allowed the school to change its kindergarten cutoff date to September 1, putting it in line with most Vermont districts. Under Act 166, children ages 3 to 5 are eligible for 10 hours per week of free prekindergarten education from qualified public or private pre-K programs. This affected Jemima Talbot's decision to give her daughter an extra year of pre-K at the private Saxon Hill School, instead of enrolling her in public school in Essex. Saxon Hill has a licensed kindergarten. But while private pre-K programs are eligible for the public funding guaranteed by Act 166, private kindergartens are not. "I'm eligible to receive $3,000 for preschool," says Talbot, adding that because prekindergarteners and kindergarteners share classroom space, her daughter picks up some of the benefits of kindergarten anyway. "I've just seen great changes in her over the year," she says. Kindergarten can wait.